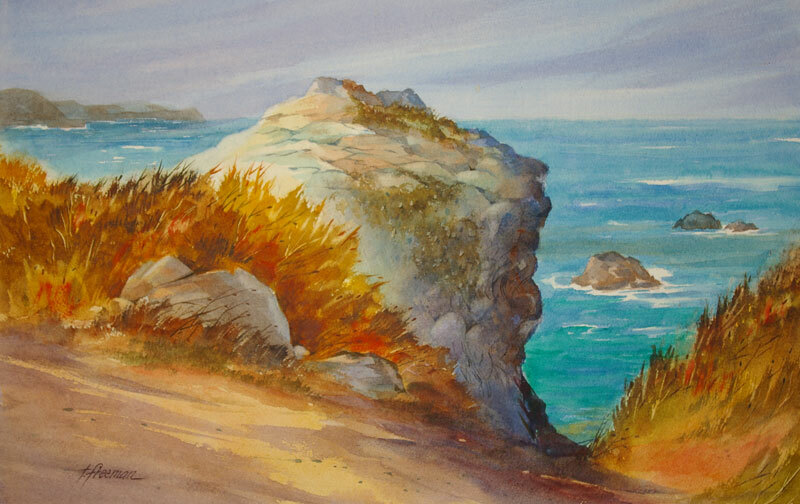 Thomas Freeman Original Watercolor Painting: "Rocks at Point Lobos"
This massive rock formation at the edge of the Pacific just had to be sketched. Later I produced the painting in my studio. I tend to be more creative with color in my studio instead of painting at the scene.